Facebook made an interesting decision to build ecommerce capabilities into Instagram, which has been known as a photo-sharing app. Burberry, Michael Kors, Nike, Warby Parker, and Zara are among the 20 companies that participated in the initial rollout of Checkout. The move, which allows consumers to buy products from participating brands without leaving the app, aims to bridge the gap between the ability to discover the products and make purchases. Search engines have strength in what's known as discovery shopping, but completing the transaction has never been a strong point, mainly because brands decline to give up the ownership of the data. 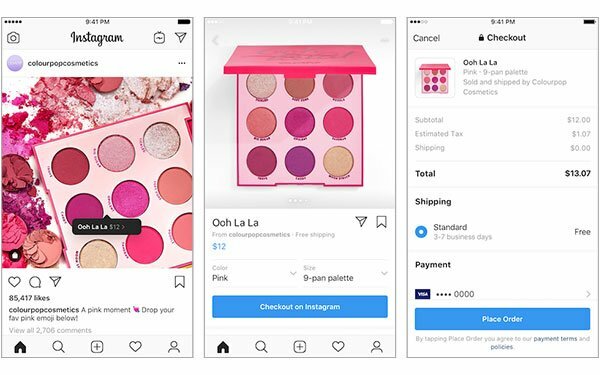 When making a purchase on Instagram, consumers need to enter their name, email, billing information and shipping address the first time they check out. After that the information is saved to the site, which may cause alarm to most users considering on Thursday its parent company, Facebook, said millions of users' passwords were improperly stored in a readable file accessible to employees. Perhaps the industry should re-categorize Instagram as a discovery or search engine, or a marketplace — a cross between Amazon and Google or Bing. With the growth of visual search across Google and Microsoft Bing, I can eventually see a similar service becoming available directly from search results. Perhaps that’s what meant when experts say search engines have become the website for brands. Google did launch Shopping Actions in beta last year to allow brands to serve up their products across numerous Google properties, but mostly connected to the Google Express platform. The products serve up in the search results, but the transactions occur in Google Express. Still, it's not quite the same as Instagram. I’m still waiting for Bing to enter this market. It’s evident in several examples of how the Bing team integrates machine learning and artificial intelligence into the search experience. Most recently Microsoft’s engine rolled out improvements to its visual search capabilities, which let people find and discover information using an image. Using a photo of a table, for example, Bing can serve up visually similar images, along with purchase options at different prices if the item is available online. The feature also automatically detects and places clickable hotspots above important objects. The visual search capabilities such as object detection are quick and automatic using NVIDIA GPUs for inferencing, which yield higher processing efficiency compared with CPU-powered inference, according to the post. Clickable hotspots could support the financial transaction, but also put the search engines in a precarious position. Not only with monetary gains, but also data. It does seem a likely move.